An inspirational teacher with a passion for literature, friendship. Robert Ewins, who has died in Melbourne aged 80, was an outstanding teacher of his generation, anastute mentor and a steadfast friend. Days before his death, Ewins recalled a boy who had asked in class: ”Mr. Ewins, what is the most important thing that has ever happened to you?” ”That’s easy – learning to read,” Ewins replied. On his hospital trolley lay an annotated copy of Austen’s Mansfield Park. He’d just finished rereading Trollope’s six Barsetshire novels and, despite the effects of his liver cancer, was determined to revisit the author’s political novels. What could he have done with his life if he had never learned to read, he asked. Read he did, copiously, widely and intelligently. The only room in his house without bookshelves was the bathroom. The final two years of his secondary education at University High School were made possible by £50 Department of Education bursaries. The secondary studentship scheme (which bonded students to three years’ teaching after university) enabled him to gain a bachelor of arts honours degree in English and history, and a diploma of education at Melbourne University. He later gained a bachelor of education degree but aborted a master’s degree to do what he did best: teach. He was adamant that one should never teach down. The teacher’s role was to stimulate curiosity, which could boost the performance of all students, even the less able. 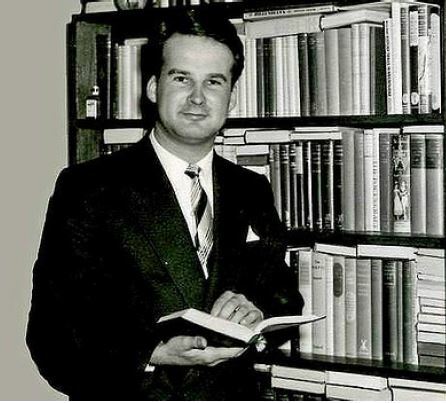 In 1956, Ewins began teaching at the Ballarat School of Mines, a baptism of fire that he never regretted. He moved to Camberwell High School in 1958, where he taught for seven years. He regarded those as the best years because the students really wanted to learn, even ”the ragamuffins’. Later he wrote the school’s history, Camberwell High School 1941-1991: A Jubilee Retrospective. 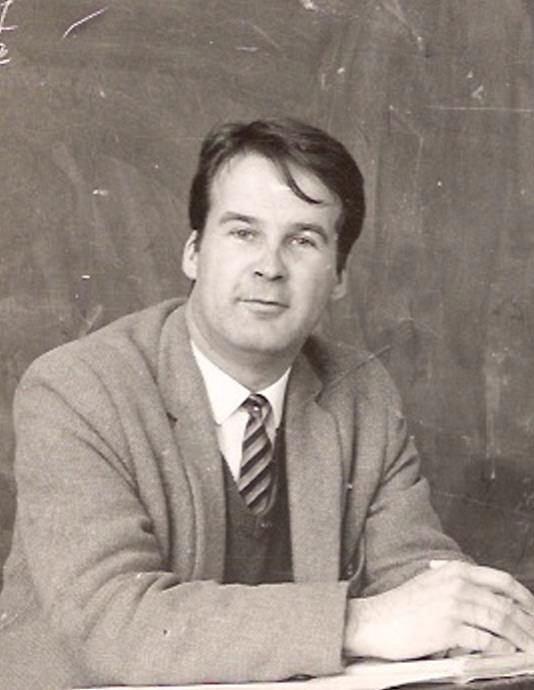 The need for promotion led him to Greythorn High School for three years until he was seconded to the Secondary Teachers College in 1969 to teach history methods. He soon moved to the academic program as a senior lecturer, teaching mainly French and Roman history. He was also an examiner for final-year English for 20 years, and chairman of examiners and an executive examiner from 1974-1978. But his CV details do not indicate the transformative effect he had on students, many of whom attest that he literally changed the direction of their lives. Ewins respected student opinions-if properly thought out-encouraged intellectual excellence rather than exam competition and exercised benign but disciplined control over classes with wit and humour. He applied the same characteristics to his sensitive and rigorous mentoring of younger friends, students, and junior colleagues. His delight in literature continued after retirement when he led monthly discussion groups for likeminded devotees at his home. The groups examined the foundations of literature, starting with Homer and leading up to English literature of the 18th and 19th centuries. It was, he said, ”quite deliberately, a grand extravaganza”. But Ewins also loved music: chamber music, ballet, symphonies, opera. Mozart, with his combination of emotion and restraint, was his favourite composer, yet his tastes were eclectic. Although rejecting modish musical fashions, he was early to appreciate Mahler and Bruckner. He was, perhaps above all, a passionate believer in friendship. He had a remarkable range of friends of all ages. He wined and dined with them, talked with them, gave them books, and embraced them all with an unparalleled generosity of spirit. He is survived by his siblings, Jennifer and David, his four nieces, his two ”honorary” families and innumerable friends. Robert regarded his time at CHS as the most rewarding and pleasurable period of his teaching career, and this picture captures the “essence” of Bob as we remember him. Tributes have acknowledged his academic excellence, his passion for teaching and his unique ability to positively influence the direction of many of his pupil’s careers. I remember Bob well, as I not only met him at functions, but did a teaching round with him when doing my Dip. Ed. A warm and utterly engaging man, but he did have some interesting quirks. For instance he taught me how to rile a complete class by just being obtuse on some point. Made then stand up and screech at him and so he got interesting discussions going. I tried it and it ended in a brawl. He could not only teach, he was a fine practitioner and a lovely man. I would like his family to know that I remember him well as a colleague who made a difference. Graham Scott, Moe South.